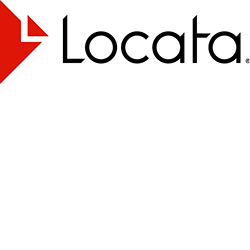 Locata Corporation is a privately-owned Australian company headquartered in Canberra, with a Delaware-registered US subsidiary company located in Las Vegas, Nevada. Locata technologies are proprietary, patented solutions for non-GPS terrestrial-based position, navigation and timing systems. Locata is commercially available to integration partners, and the networks have already seen great success in mining, construction, military and autonomous vehicle applications. Locata Corporation has invented completely new terrestrial positioning networks which function as local, ground-based replicas of GPS. These networks can best be thought of as “GPS hotspots.” There is no other technology that can do this. Locata is already shipping commercial systems to extremely demanding and professional end users like the USAF, NASA, Leica Geosystems, and many others. Locata allows their integration partners – for the first time – to extend GPS-like positioning coverage to modern industrial, commercial, consumer and government applications in areas where GPS is erratic, jammed or unavailable. Unique and valuable new technology. Proven with the USAF at the White Sands Missile Range. There is no other company that can deliver cm-level positioning across large local areas, even when GPS is being jammed or interfered with.